Australia sought guidance from US environmental regulators about the impact of fracking on water supplies. The practice is currently banned in some Australian states, but the federal government wants a new set of guidelines regarding the process. The US’s Environmental Protection Agency (EPA) provided the Australian Department of the Environment with details of a recent study it had carried out on fracking. The EPA had carried out the research following a request from Congress to see if the process, also known as hydraulic fracturing, which sees a combination of chemicals, sand and water injected deep underground to try and extract oil and gas from rocky areas, is harmful to the water supply. The EPA said that they could not find any evidence of “widespread, systemic impacts on drinking water resources in the United States,” from fracking. A spokeswoman for the Australian Department of the Environment said the government was aware of the findings, and is currently in the process of writing new guidelines regarding the controversial process. Fracking is currently banned in the state of Victoria, while there have been protests in New South Wales and Queensland about proposals to start fracking projects there. The EPA report did mention that fracking had the potential to pollute water supplies and there were not enough long-term studies, which have been undertaken to give a clearer understanding about the potential impact. The Australians could do worse than travel to the United States to see for themselves the impact that fracking has had, not only on the water supply, but also on the environment. A family in Texas filed a law suit against hydraulic fracturing companies last week, for causing an explosion on their ranch through their water supply, which left them with serious injuries and has left them needing to import water onto their ranch, as the water in their private well has become contaminated. Cody Murray suffered severe burns after a giant fireball erupted from the pump house where they used to store their water. 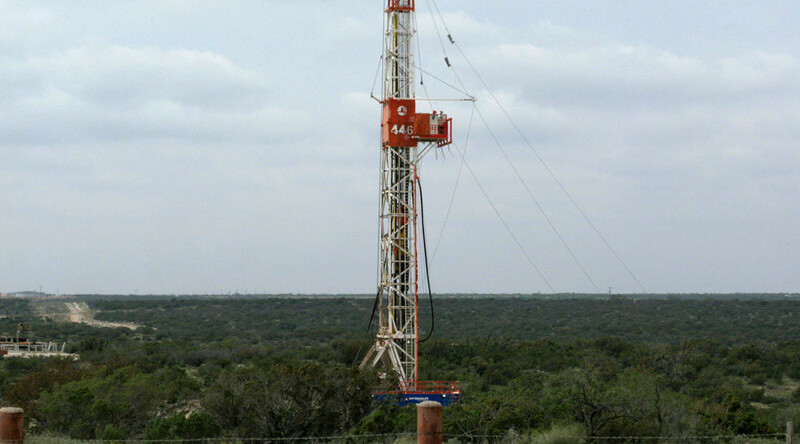 “Rigorous scientific testing, including isotope testing, has conclusively demonstrated that the high-level methane contamination of the Murrays’ water well resulted from natural gas drilling and extraction activities,” the lawsuit said. “The high levels of methane in the Murrays’ well were not ‘naturally occurring’." Meanwhile, the neighboring state of Oklahoma has seen a surge in the number of earthquakes since fracking processes were implemented. An astounding 40 earthquakes were reported within the period of a week in Oklahoma in late July, with even State Governor Mary Fallin acknowledging the link between such earthquake clusters and wastewater disposal procedures used in fracking operations. "We all know now there is a direct correlation between the increase in earthquakes we have seen in Oklahoma and the disposal wells, based upon many different factors, whether it is volume or location or whether it is on a fault line, how deep that disposal well goes into the earth itself," Fallin said on August 4. In 2013, Oklahoma experienced 109 earthquakes of magnitude 3.0 or higher. In 2014, the number skyrocketed to 585 such seismic events, according to the state website Earthquakes in Oklahoma. This puts the current rate at some 600 times the historical average. Meanwhile, Australia recently got a taste of just how dangerous trying to extract minerals out of the ground using chemicals can be. A leaked government report this month revealed that the Linc Energy mining company could have polluted hundreds of square kilometers of farm land in Chinchilla, Queensland, after a mixture of toxic chemicals and explosive gases were released. “We have found gases in quantities above the explosive limit. In our reconnaissance boreholes, explosive levels have been found that indicate very much higher concentrations in the soil atmosphere,” according to the report. The report also stated that soil pollution within a 320-square-kilometer area around the plant could be dangerous to people’s health, while local workers complained of severe breathing problems. The company has already been asked to provide AU$22 million (US$15.7 million) in financial guarantees to cover the cleanup of possible environmental damage at the Chinchilla site. The department reportedly said water and sediment in some of the facility’s storage dams were “likely” contaminated with dioxins. The plant near Chinchilla was Linc Energy’s first facility conducting underground coal gasification. The technique is used to extract coal, which is too deep to be mined. The coal is burned underground, producing gas, which is siphoned off through wells - a process similar to fracking.